"After hearing so many pickups on so many basses, I have found the pickups that help me define “my sound”. Bartolini pickups make it possible to find your sound!" 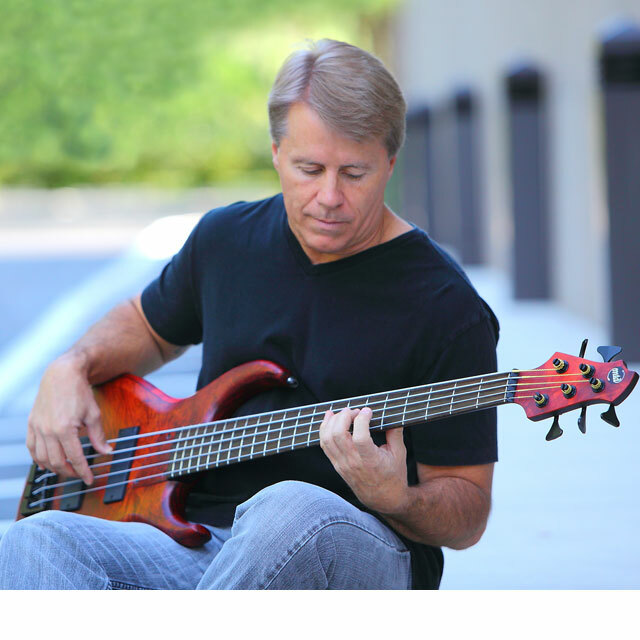 Years of performing as a professional bassist in all styles and genres, has made Terence “T” Hill a "go to" bassist. R&B, Rock, Funk, Jazz, Country, and Latin, he can cover it all. In addition to acquiring a BS in Music Education from the University of Portland and an MA in Music from Central Washington University, Terence has performed with many of the great artists of our time, on both electric and acoustic bass. Artists performed with: The Kingsmen, The Moody Blues, The Rock and Roll Hall of Fame “Coasters”, and Little Anthony and the Imperials. Also: Herb Ellis, Joe Morello, Gary Burton, Rich Mattison, Clark Terry, Doc Severinson, Louis Bellson, The New York Voices, Joe Williams, and trumpet great Dizzy Gillespie, just to name a few. His recording experience includes television soundtracks for NBC studios, Disney’s “College Road Trip” and numerous television, and radio spots.